We provide LED Rental Services to our customers at nominal rates. This work is extremely admired by consumers owing to their consistency and timely completion. These works are rendered by professional’s team who work in proficient way. Moreover, we render this at nominal costs. - Product description: P3.91 SMD2020, die-cast Magnesium rental cabinet, 500x500mm, 250x250mm , high refresh frequency, gray grade and contrast ratio, wide viewing angle. We are one of the leading service providers of Led Screen Rental Services. Known As a rental Led Display Screen, it has become a complete package for wedding function , parties and events. neaar or far guests will get the complete exprience of the function with total comfort. It provides best opportunity for business enthusiast to dive into. P7.62 Indoor LED wall using the super thin, super light LED cabinet and power supply; Nice cabinet design, very portable. It's very popular for stage, TV, show It never occupy unnecessary room and never puts unnecessary weight to the mounting structures. 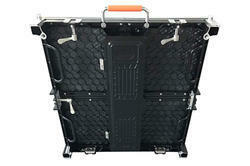 All sizes of LED screen are available on rentals. With the help of our expert team members, we have been able to provide Outdoor LED Display Rental Service. 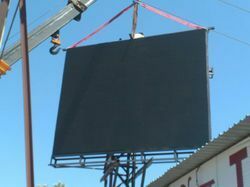 We are leading providers of LED Screen on Rental.